You’ll need to remove Scentsy Bar wax from your Scentsy Warmer on a regular basis when the wax is no longer fragrant or you want to try a new scent. While you don’t need to worry about wax removal after each use, since Scentsy Bars retain their scent for multiple uses, proper wax removal is important to ensure your Scentsy Warmer continues to function correctly. 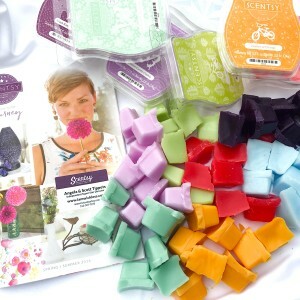 With a little effort and time, you can lengthen the lifespan of your warmer and ensure ongoing relaxation and other mood-boosting benefits tied to the wonderful assortment of Scentsy Bar scents. In the event of a wax spill during removal, we’ve also got tips to help with the clean up! When you want to try a new Scentsy Bar scent, save wax for future use or dispose of old/un-fragrant Scentsy Bar wax, you’ll need to remove it from the warmer. Depending on how recently you melted a Scentsy Bar in the warmer will determine the best method for wax removal. If your Scentsy Bar wax is still melted and not in a solid form, you can simply absorb the old wax using an absorbent paper towel. The wax should come out of the dish rather easily, but if there is still wax in the warmer dish simply wipe it out with another paper towel. If the Scentsy Bar wax is soft, but neither melted or solid, it is easy to remove this wax with a spatula. For solid or hardened Scentsy Bar wax, try using a dull knife or similar wooden tool. Run the tool around the outside of the wax and it should pop out for easy disposal or to save for later use. No matter the state of the Scentsy Bar wax, it’s important to be careful when handling hot wax and wax removal tools. Keep safety in mind to minimize spills and other accidents! The best method to remove Scentsy Bar wax from wood surfaces is to place a paper towel over the wax spill and then use a blow dryer to heat the area. The wax should easily transfer to the paper towel. To easily remove spilled Scentsy Bar wax from carpeting, use the same paper towel and blow dryer method as you did for wood surfaces. The best method to remove Scentsy Bar wax from fabrics, like clothing or furniture, is to lay a paper towel over the wax and then iron over the paper towel and wax spill. The wax should transfer to the paper towel. If possible, try to place the fabric on an ironing board prior to removal.